My wee little Christmas Trees! Various Colors and Sizes! It's been a busy 2012 and 2013 is almost here. I've lost touch with a lot of friends blogging and have made a decision to become a real blogger in 2013. My goals will help me build my business online, promote to support local artist, search for art in any matter and enjoy life in San Diego. Election day is around the corner and coming up soon. Who are you voiting for? Did I tell you about my new vintage fine? It's an vintage ironing board. I''m in the process of restaining the wood today with pecan stain. That's it for now off to fire more glass for an Craft Fair this weekend. 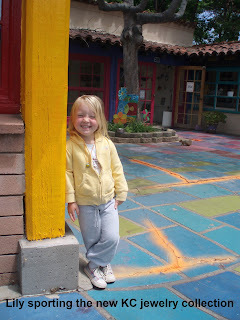 One of my favorite photos I took ...... while I was visiting in The Designer District in Solona Beach. This glory hole reaches temperatures over 2100 degrees F. Try your hand at glass blowing at Studio 19 Spanish Village Art Center - Balboa Park. NEW UPDATES COMING SOON. Watch for Etsy store re-opening. My Patio with two tabletop kilns. I have 2 more hidden on the patio floor. A trinket kiln for firing glass enamel on copper and a small kiln for firing Precious Metal Clay(PMC). Will take photos later and upload. 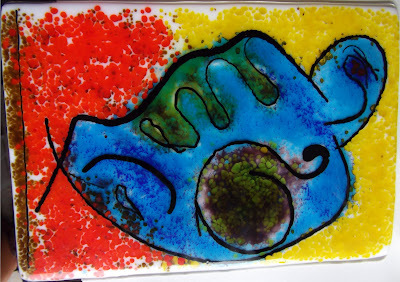 Created this artwork at a workshop retreat for glass artist. More toward surrealism? Each way you turn the artwork you visualize different images. 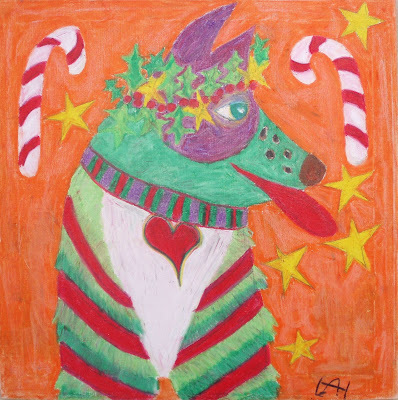 The artwork has been sold to a private owner who resides in San Diego. Art Glass Wine Stoppers can now be found in STUDIO 24, Spanish Village Art Ctr Balboa Park. The glass is iridescent and reflects lights in different angles. 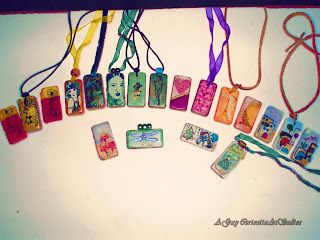 This is a few of the custom Art Glass purse hanger designs I have available. More to come! 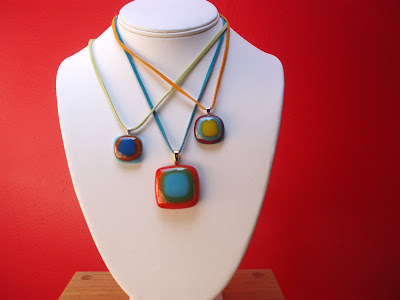 Bold and Brillant Color for Summer! 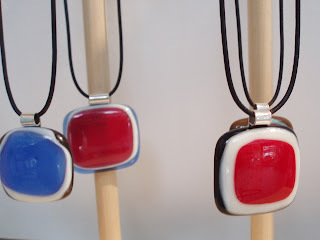 My "Bold and Brillant" Art Glass Pendants & Purse Hooks, are back for their summer run. Such brillant color only found with hand rolled glass. 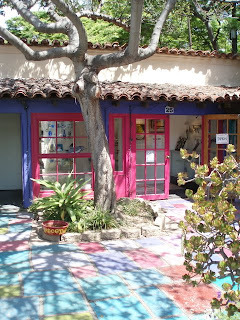 If your in the San Diego Area check out STUDIO 24 located in Spanish Village Art Center, Balboa Pk, San Diego. We are open seven(7) day a week. 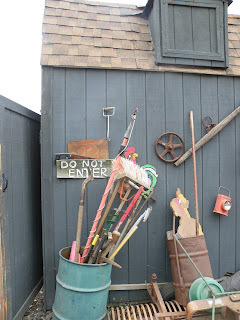 Victoria's Garden "A Working Farm" FUN!!! I was scouting East County Sunday and ran across Victoria's Garden(working farm). 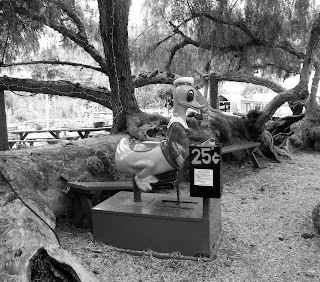 What a neat place to buy fresh vegetables,fruit and find family fun for the kids. They have a petting zoo for kids along with pony and lama rides. Check out at this link. I am playing around with my new camera and took the pictures shown above. 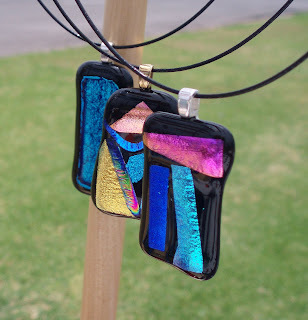 This Saturday at the Art Glass Guild Patio Sale located at Spanish Village Art Center in beautiful Balboa Park, I will be releasing my new line of jewelry "For Kids Only". 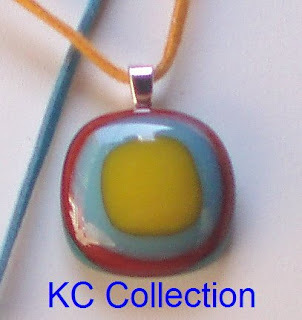 Showcasing 2 colorful designs of my pendants and will branch to earrings for the little ones coming soon. 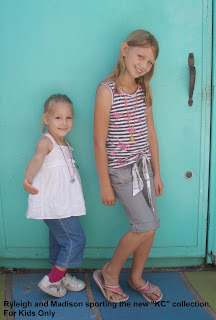 A big THANK YOU to Lily, age 3 (left), and to Ryleigh, age 3 and her sister Madison, age 9 (upper right), all from the San Diego area for modeling and sporting the new kids line. Hungry? 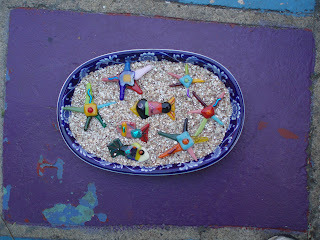 I made this little fishes and starfish just for you. They were cook to 1600 degress F and layered to your hearts delight. TIP: did you know that you can click on any picture on my blog to enlarge? This is a sample of my Art Glass nightlights that I will be uploading soon to etsy. Also these beautiful pieces of art can be found at STUDIO 24 in Spanish Art Center next to the Zoo in lovely Balboa Park. 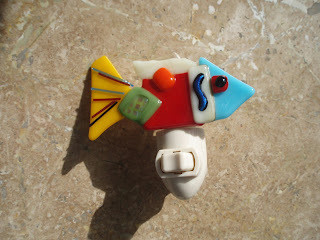 I love creating the little Tropical Fish. Like a puzzle takes some time to fit the glass pieces together. I will be listing on etsy next week for purchase. 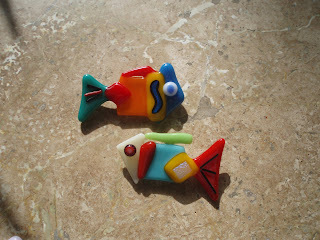 I've really been busy creating here are more of my whimsical Mosaic Tropical Fish Series. I will be listing this series next week on Etsy for purchase along with my nightlight and magnets. Collection of my Mixed Media. Happy Valentine's Day to all from PEEP. 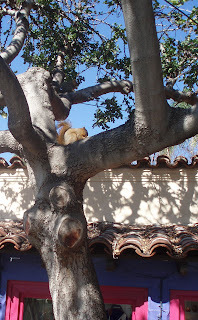 When you stop by our Studio's 24,25,26 & 27 in Spanish Village, Balboa Park, watch for our main attraction Emily the Squirrel and her family. They are always eager to put on a show for the crowds and love to have their picture taken. I just can't believe how one reacts when they see the red squirrels. I grew up with the grey ones. But these guys really know how to beg. Soon, we will do a photo shoot & video with them and put on You Tube. 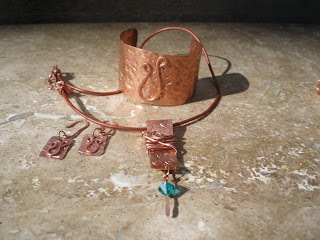 I am getting ready for 2009 and starting to design my jewelry line using metals. Copper is one of my favorites. 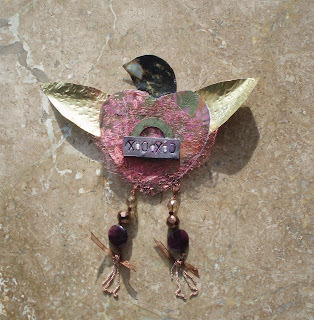 I also play around with Metal Clay, Silver and Brass. 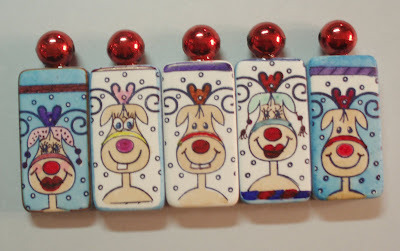 I took a class in Mixed Media Mosaics where you use polymer clay to design and create tiles to assemble on wood, metal etc. This is the designs I came up with using my Art Glass Hearts as the theme. This is a collage of my mother and her senior prom back in the 30's. The technique is using copper foiling then soldering the glass. The photo is a transparency and I used stitching around the background. I used a lace material to drape on her beautiful dress she designed and made. My mom was a seamstress and like to draw. She was a member of the First Baptist Church in Bremen, Ga,member of the Eastern Stars where she was past president and a volunteer at Higgens General Hopsital. This is a reversed painting/photo technique on plexiglass. This is me around 4 yrs of age on my little tricycle. I made a copy of the photo and used gel medium and highlighted with Golden Acrylic paints. Located between the San Diego Zoo and Natural History Museum. I just wanted to let all my friends and customers know that STUDIO 24 is now OPEN! There are 37 Galleries/Working Studios and 6 Art Guilds with ongoing classes in a wide variety of mediums being offered. At STUDIO 24 there are 4 of us. 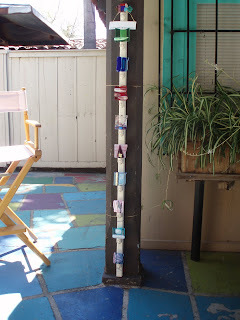 We each vary in medium and I will be blogging on each artist. 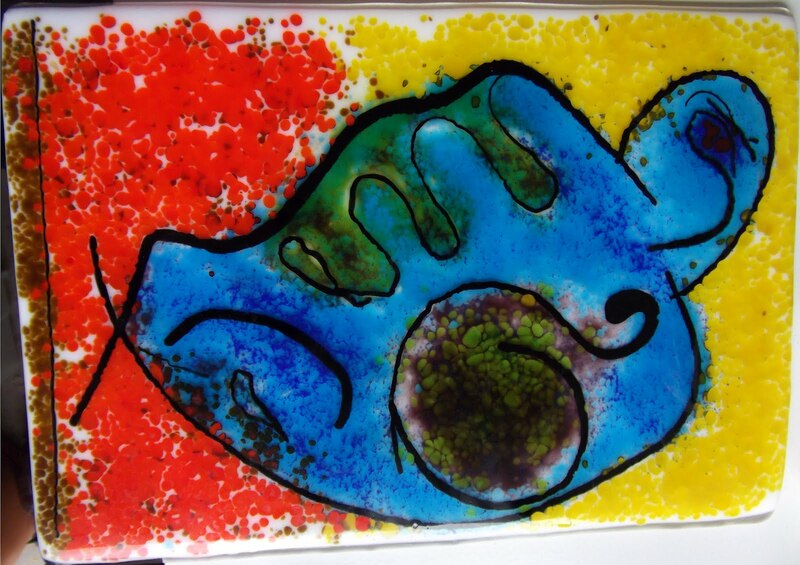 We also offer intro classes in hot glass, cold glass, beading, metal smithing, wire wrapping, sandblasting, etching, photography, collage, artistic painting techniques for home and canvas. When you can stop by and say hello. I wanted to share with you an oil painting by one of my artist friends Lai. I've always been enchanted by little fairies and tried my hand at these. 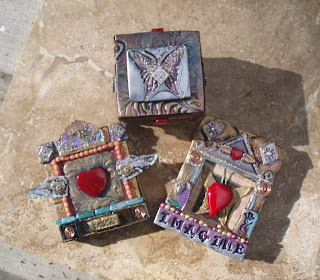 They are hand beaded and are approximately 2 inches tall. Each fairy takes about 1 hour to create. 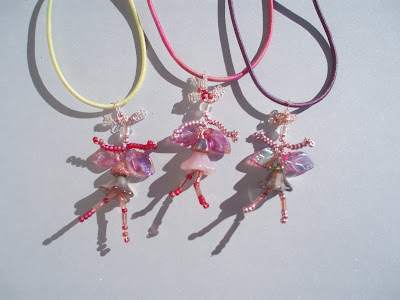 If you would like to purchase one of my little fairies see my online store at Etsy. http://CuriositaArtStudios.etsy.com or contact me directly at ArtSizzles@yahoo.com. It's that time again the "HOLIDAYS are here! I love the sparkley night lights of small towns around this time of year, don't you? 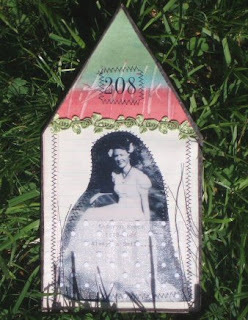 Here is a collection of Dominoes that I used as a canvas by stamping images and handpainted adding extra detail to each. Very unique. Wikitonary defines "Geometric" as Using simple shapes such as circles, triangles and lines in a decorative object. 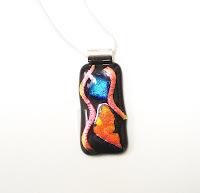 The picture shown is my latest series in the Art Glass "Miniature Art Series". SCROLL DOWN PAGE TO SEE MORE ART. 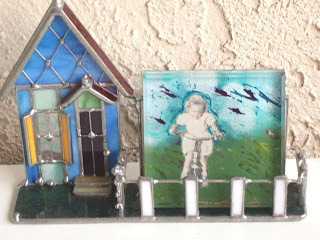 These are my newest "Miniature Art Glass" pieces from the Mosaics Series. The Bails are Sterling Silver shown with a Sterling Silver Snake chain. 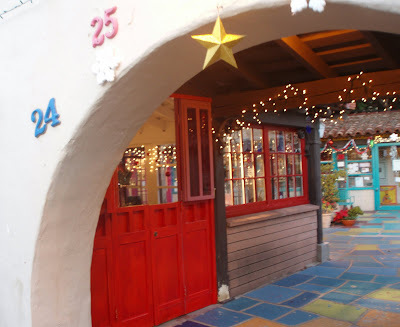 They can be seen at Studio 25 located in Spanish Village in Balboa Park. 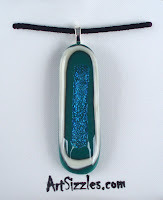 Individual Glass pieces are handcrafted and Kiln fired to 1600 degrees by me, Alane Gray, Glass Artist. Once the glass has reached the desired temperature the annealing process begans, which is the cooling of the glass to room temp. Each Hook holds up to 40 lbs and designed to keep your expensive handbag off the floor away from dirt and bacteria. Next time you are in a Restaurant, Spa, and Salon or where ever you are, you will be the center of attention with your original. Customer and Wholesale inquires welcome! 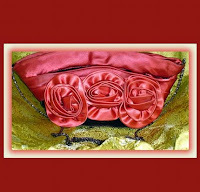 Check out entrepeneur Diana Beard, who is a wearable artist, fashion design instructor, purse designer and creator of Diana Couture patterns for stylish and creative handbags and accessories. 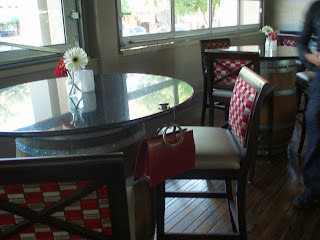 Below is one of her custom altered handbags made from a Vintage Hat. Beautiful Pink with Roses. Scroll down to blog entry on May 11 to see more of her designs. 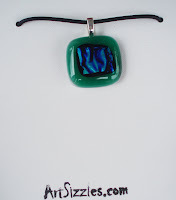 I just love the aqua blue turquoise colors in the newest of my Art Glass Collection. The Miniature Art pieces are made by the process of fusing layers of glass in a kiln for several hours firing up to 1600 degrees F. to form the round edges. Next is flash cooling to 900 degrees F., once there the annealing process begins which could take another 8 to 10 hours for glass to cool properly to prevent breakage. 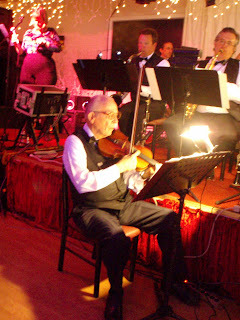 Elderly man(Charlie) playing a viloin with a local Big Swing Band (I shot picture :) could not resist he was so cute - he looked to be in his late 80's or 90's and amazing he's still out there doing what he enjoys. ARE YOU AWARE you can help support the "ARTS" in San Diego by volunteering your time to help usher at events at San Diego Symphony,San Diego Repertory Theatre, Spreckles, East County Performing Arts and many more events in Coronado, North Park and La Jolla? Contact Sal Cicalese at 619.231-3586 ext 639 or email HouseManager@sandiegorep.com and he can point you in the right direction for contacts. Great for networking and enjoying a concert or play for FREE. Penguin Suits are the rage and required as shown in the photo. White top, black pants and/or skirts and black shoes. You might also want to have a white jacket. Oh yes and the handy dandy flashlight. 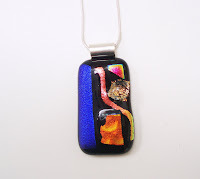 Spectacular pieces of "Contemporary Miniature Art" on black glass layered with dichroic! 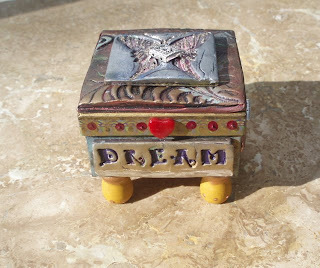 Each piece is handcrafted and have their own personality. Collect your own OOAK museum art piece. 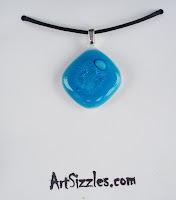 View my online gallery at http://ArtSizzles.etsy.com or contact me directly at ArtSizzles@yahoo.com for your custom design and quote. 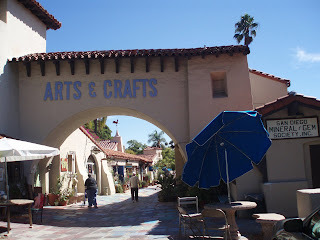 When your in San Diego stop by the Glass Art Guild Studio 25 Gallery in Spanish Village located at beautiful Balboa Park. There you will find 37 studios of local Artist filled with goodies. Open year round 11:00am to 4:00pm. You will find me at Studio 25 every 4th Wednesday. Wow! This original photo is impressive and I would not consider myself a photographer. The colors in the photo are so stunning and vibrant with no touchup. This is a OOAK photo shot on my tiny Olympic Stylus 710 digital. Note: My photo was selected for an online Travel magazine. Yeah!